Well, we made it safely on board and we able to find our room amongst the chaos on the Crew Deck. 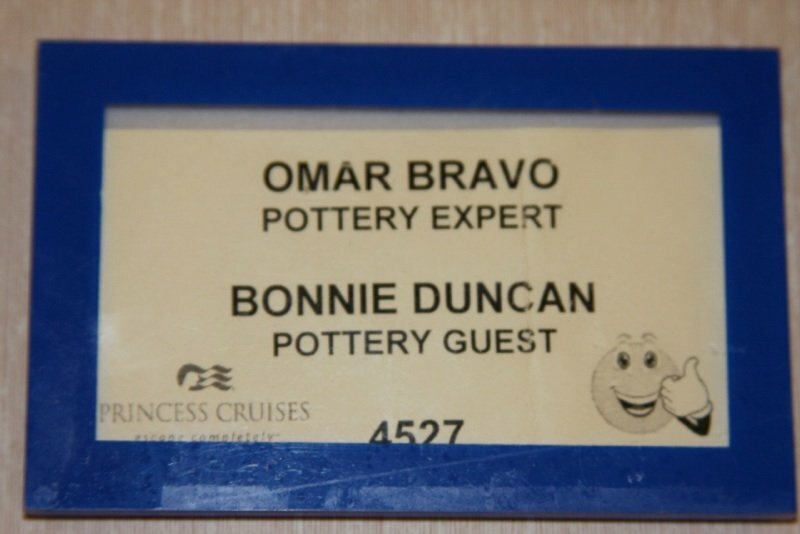 For those who don’t know, the crew to passenger ratio on a Cruise Ship is about 1:1. Thus, there are almost 1000 members of the crew running through hidden hallways throughout the ship at any given time. Our room is fine and our room steward (Fredilo – from the Philippines) is very helpful. We had a few people sign up for the Pottery Lessons which we will began on Sunday. We finished off the day with a great Five Course meal in the Bordeaux Room.